We are a household of candle lovers. JHogg is just as guilty as I am for the excessive number of candles we own! We have one burning every day and love finding a good one where the scent fills the room. This time last year I was introduced to the world of wax melts. Game changer! I’ve bee converted and love mixing melts to see what scents I can come up with. 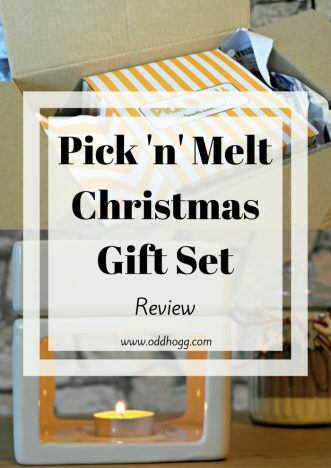 When the opportunity arose to review the Pick n Melt Christmas Gift Set I couldn’t say no! I was twitching for the package to arrive to see what they had come up with for this festive season. Spoiler – they didn’t disappoint! The gift set comes in 2 parts, a box and a paper bag. They are both in the signature Pick n Melt orange and white stripes. It is bright and inviting – and reminds me of a Pick n Mix which I guess is the general idea! As soon as I opened the box I could smell the wax – it was gorgeous and just made me want to see more. 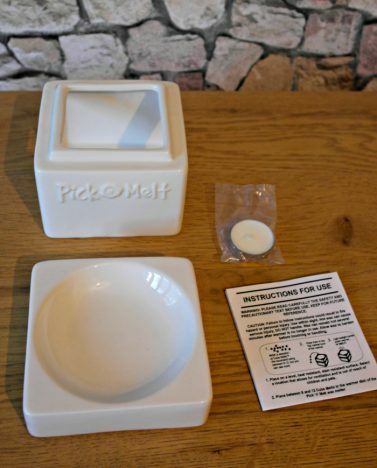 The large box holds the wax warmer. It is a simple modern design which would sit happily in any room. It comes with a tea light – which was perfect for me as I didn’t have any in! The tea light sits in the base of the warmer and is the heat source to melt the wax. The bowl is removable, which is handy for removing the wax later. Each bag of melts contains 6 cubes. This makes it really easy to mix and match the scents to create the perfect aroma personalised to you. It is recommended that you use 6-12 melts at a time. I wasn’t sure how strong the scent would be so I decided to start with just 6. I chose the Cocoa and Log Fire cube melts. Having had an electric warmer for the last year, I’ll be honest, I was a bit sceptical as to how the tea light would do the job. 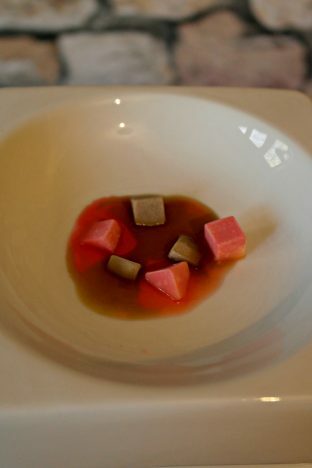 I needn’t have worried – the wax was melted in no time. The smell filled the room. It wasn’t overpowering, and after this first time I used more melts at a time to make it stronger. I sometimes find that Christmas scents can be overly sweet, but these ones were spicy and fresh. They are great for mixing together and really compliment each other. I love love love this set, and I think it is an absolute bargain at only £12. 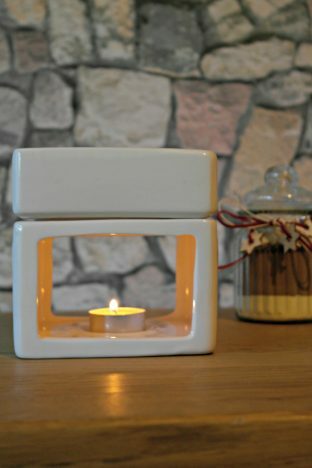 It is a fab gift for anyone who likes candles – especially those who would get creative with mixing the cubes. The wax warmer is subtle and won’t dominate a room. It looks really cosy in the evening with the lights turned down and just the tea light burning. There is a Supreme Christmas Gift Set which is priced at only £18 and contains even more cube melts (32 bags in total) in different scents. Personally I would go for that if I were buying this as a gift as I think £6 for an extra 16 bag of cube melts is worth it. A lovely gift for the person who has everything. High quality, pretty design and a lot of fun to use. 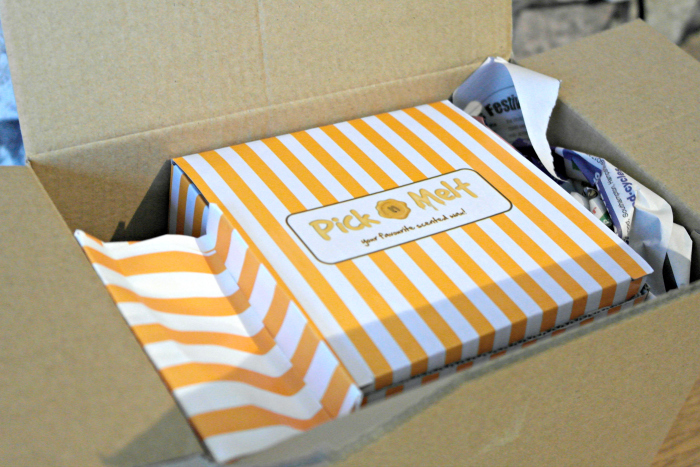 Pick n Melt specialises in the Pick n Melt Party (try to say that 10 times fast!). It is a monthly subscription where, for £8 per month, you receive 20 bags of melts in the post. You can manage the scents that you receive by choosing 6 yourself each month, but you also are sent 2 guest scents chosen by Pick n Melt. I think thats a fun way to open yourself up to new scents and get outside of your comfort zone. Postage is free, and members also benefit from exclusive offers and competitions. You can also upgrade to the Supreme for a larger set of scents each month. Maybe you would like to add a subscription to a Christmas Gift Set? I would be chuffed to find it under the tree on Christmas day! This would be an awesome gift for someone. I love the look of that warmer! !